Paul commented: These look absolutely great on our oak 4 panel doors. Really impressed with the quality and the speed of delivery. Bought a similar knob at another website to compare but the detail and the finish on these were far better. Would definitely recommend for that vintage feel to any renovation. Many thanks to Paul from Buckinghamshire for these photos. 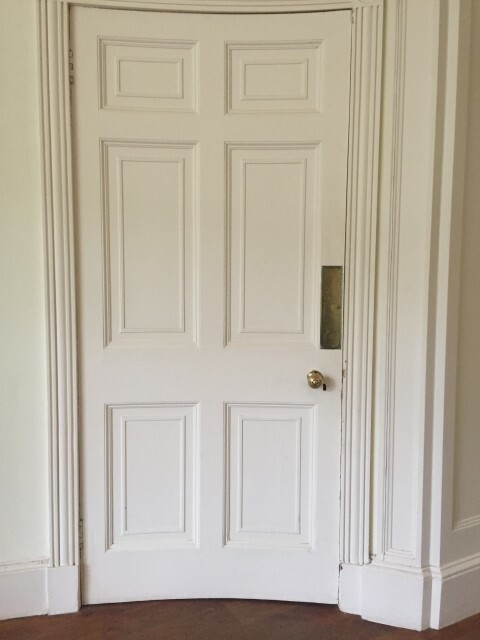 Steve commented: As a time served joiner of 4 decades I've fitted lots of door furniture and I must say this seems to be a quality item. We're very pleased with the finish and it's quite weighty which in my book lends itself to quality products. Many thanks to Mr Steve B from Leicestershire for this photo. 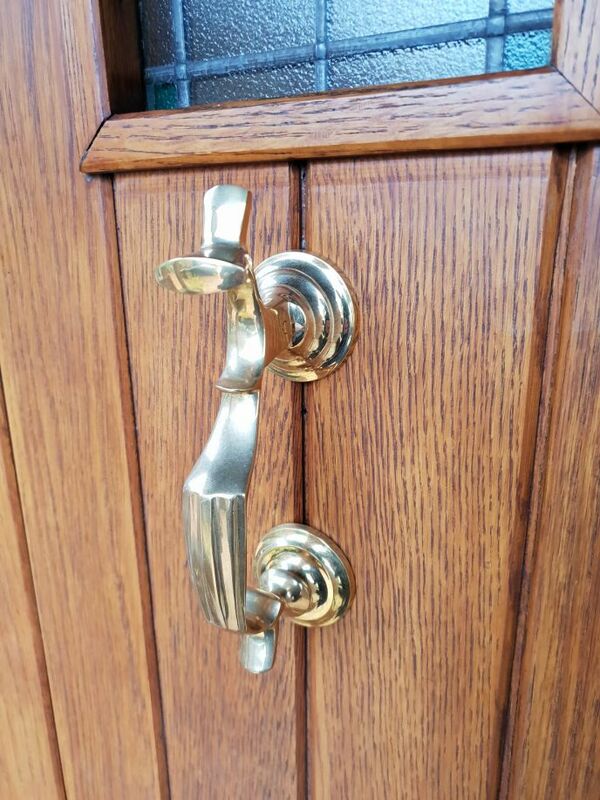 Customer is very happy with our with Large Brass Beehive door knobs which blend in seamlessly with the unusual curved doors. 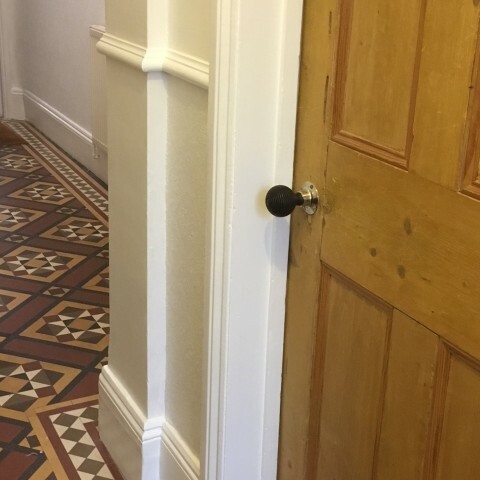 The customer commented: The knobs match exactly those on the opposite side of the entrance hall. Many thanks to Mrs K.D. in Gloucestershire. 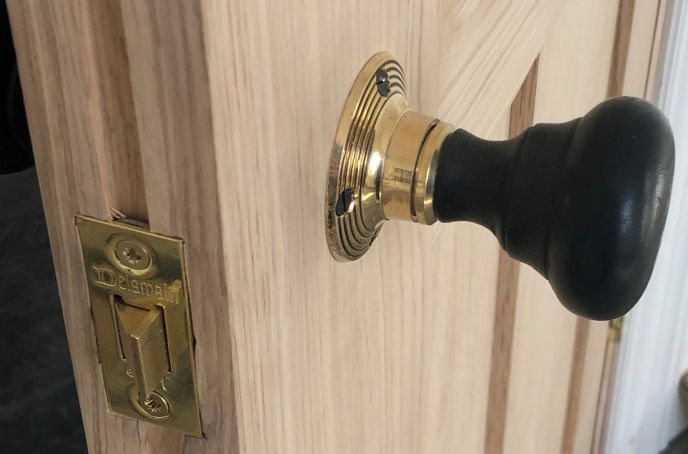 We now have in stock the large Georgian brass reeded door knob. 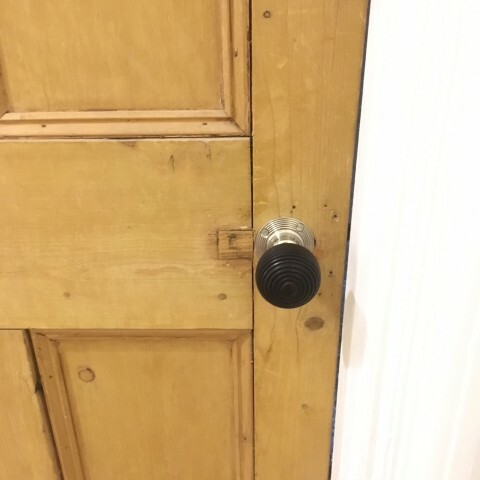 This complements the smaller Georgian brass reeded door knob. The customer commented: We LOVE them so much they are all over the house will be doing upstairs soon as builder finished so shall be back for more. Many thanks to Mrs J.N. in Northamptonshire for the photos. 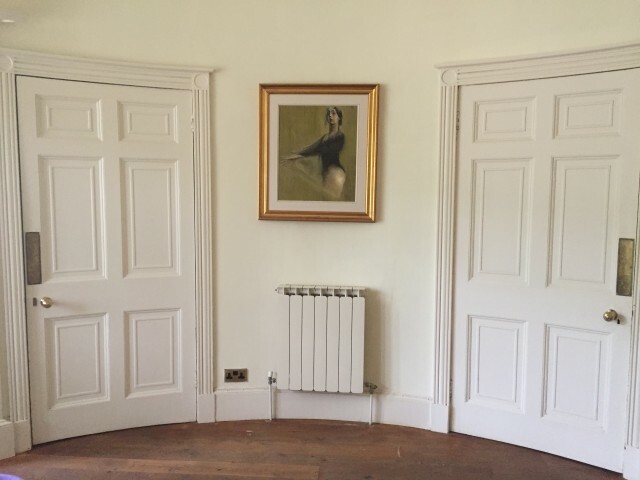 They commented: We recently ordered some beehive door knobs & they look fantastic!!! Really lovely thank you. If you have purchased from us then please feel free to send us your photos. We'll be very happy to show them here. In order to keep up with the demand for our vintage door knobs & hardware, we have just taken delivery of yet another order from our supplier. As we commission our own designs, we know that the quality and style of all the designs we sell are second to none. 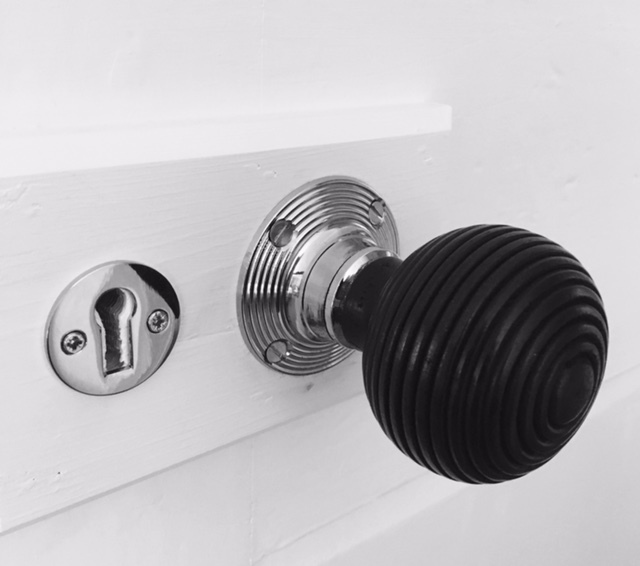 Don’t take our word for it, see the reviews from our customers on all our vintage door knobs, cupboard knobs, escutcheons and hand forged ironmongery. The Vintage Door Centre are going to join you in taking a very short, but well earned break this Easter! 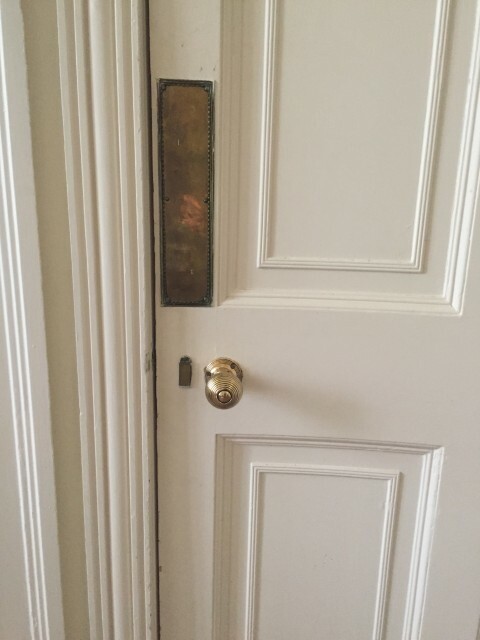 In order to prevent unnecessary delays with the delivery of vintage door knobs due to not being able to leave voicemail messages etc., please ensure that you provide a mobile telephone number when placing your order. This will not only ensure that our pallet delivery partner can contact you more easily, but with vintage door knob orders being shipped by our new courier (DPD), you will be able to take control of your parcel deliveries more easily and get these delivered when and where you want from your smart phone. From us all at the Vintage Door Knob Centre, we would like to wish all our customers a very Happy Christmas & New Year. Thank you once again for all your support over the past 12 months and we look forward to hearing from you in 2017! 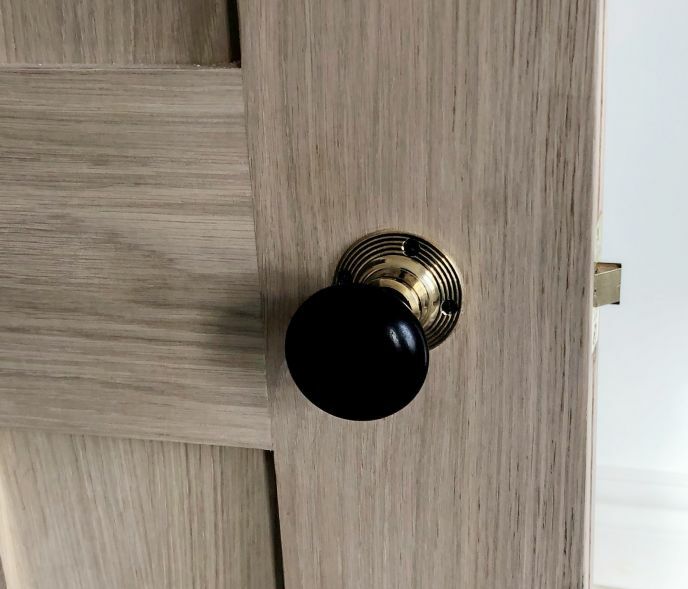 Further to the introduction of our vintage cupboard knobs earlier in the year, these have proved to be extremely popular and customers are now seeing the benefit matching their vintage door knobs with the cupboard knobs we can offer. Likewise, many trades are purchasing the vintage cupboard knobs as alternatives to the boring cabinet handles available on the high street and in the usual DIY stores and are breathing new life into that new kitchen or restored vintage chest of drawers with these smaller cupboard knobs. Please don’t miss out on this great opportunity and be sure to order in time for pre-Christmas delivery. As the popularity of our vintage door knobs continues to grow thanks to their excellent quality and great value, they are becoming a smash hit on the international stage and we are supplying regularly across the globe. Recent orders include our CDC-6 Ebonised Beehive & Nickel style supplied to South Carolina in USA and our CDC-11 Large Brass Beehive style supplied to Tasmania in Australia. Vintage Door Knob Centre has now added Victorian cupboard knobs to its collection. These are a perfect match for our range of vintage door knobs. Please hurry whilst stocks last! Launch of our new vintage door knob website.